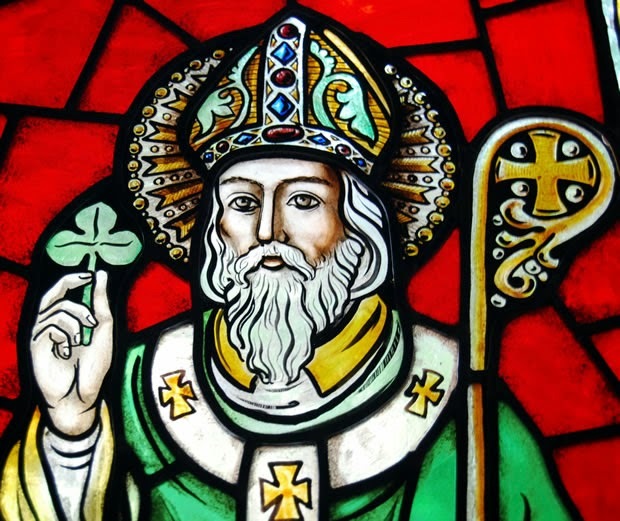 March 17 is nearly upon us and I thought it would be worthwhile to take a look back at the history of Saint Patrick for which we have much to be thankful for. Two Latin letters survive which are generally accepted to have been written by St. Patrick. These are the Declaration (Latin: Confessio) and the Letter to the soldiers of Coroticus (Latin: Epistola),from which come the only generally accepted details of his life. He was born a Roman-Britain towards the end of the fourth century, some dating it as 385 AD. He was born to a privileged family and his father was the local deacon. At an early age he was abducted by raiders who sold him into slavery in what was then mostly pagan Ireland. He was held captive for six years generally employed tending sheep. He stated that he felt he was told by God to flee to the coast in order to escape. He is said to have walked 200 miles in order to effect his escape. Upon his return to his homeland, he saw an angel in a dream telling him to return to Ireland to convert the pagans to Christianity. He began his studies for the clergy which took him the next 15 years to complete. He became a bishop and received his blessing from the Pope to complete his missionary calling in Ireland. Saint Patrick was very resourceful in his use of local customs to enlighten the pagan people of Eire. He utilized the symbols of the pagans which allowed them to more easily understand what he was trying to teach and to gain their acceptance. For example, he would use bonfires during gatherings just as the pagans did. The symbol of the sun was also very prominent in their beliefs. 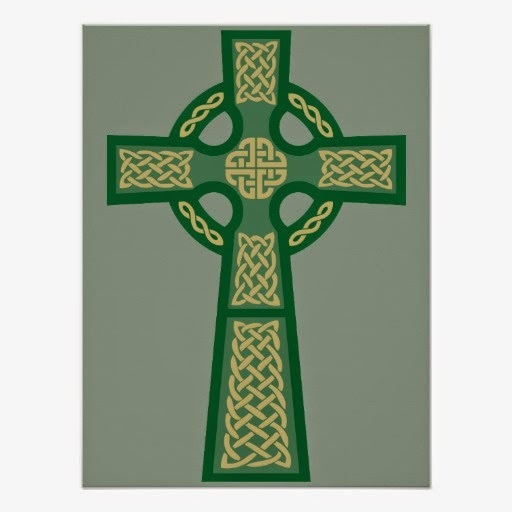 One of the theories as to the origin of the Celtic Cross is that St. Patrick incorporated the round sun symbol of the pagan belief system into the more standard Christian Cross which is now the Celtic Cross that we see today. He is also associated with the three lobed shamrock. Saint Patrick is said to have used this native plant to explain the concept of the Holy Trinity to the pagans. As much of the lore of the ancient Irish was handed down by oral tradition, much of that history has been exaggerated or misunderstood. 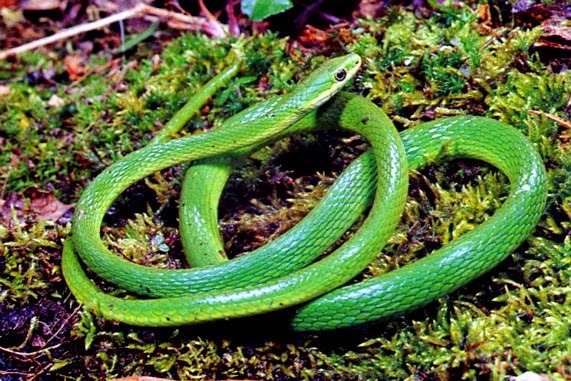 For instance, St. Patrick was famously known for ridding the Emerald Isle of snakes. In actuality, there probably never were any snakes in Ireland to begin with. The story really relates the symbolic eradication of pagan beliefs which were commonly associated with the symbol of the snake. With that history in mind, we will soon be filling the taverns with beer enthusiasts and the streets with parades. The City of Chicago will be turning their river green, and green dye will be added to the taps around the world, for it seems that everyone is a bit Irish for a day. A cursory glance a few years ago revealed a couple of distilleries producing gin on the Emerald Isle. But, the craft gin Renaissance that has been spreading the world over has as strong a presence in Ireland as anywhere. Putting their rich whiskey distilling heritage to task, there are now a number of fine gins coming out of Ireland today. To date, I have only had the opportunity to sample Dingle, which I previously discussed and recommended as a wonderful balanced gin with a taste that really attempts and succeeds in incorporating the local flavors of the land. Others on the list include Cork Dry Gin, Glendalough, Blackwater, and Shortcross. I am looking forward to giving them all a try. 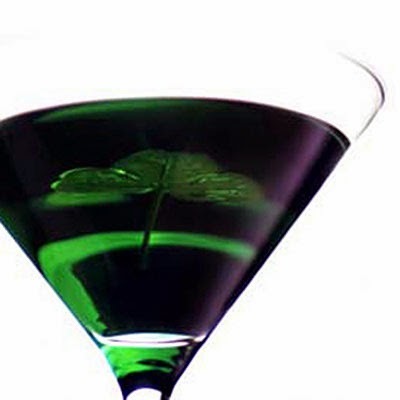 Why not celebrate Saint Patrick's Day by expanding your palate beyond the green beer and try a green Martini- The Emerald Isle? add a dash of bitters or two. Garnish with a mint leave.